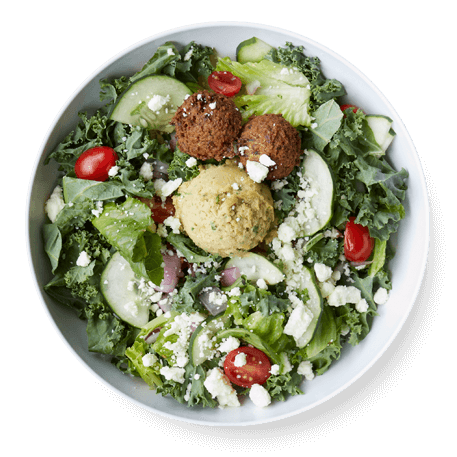 Shredded kale + chopped romaine, house made hummus, house made falafel, cucumbers, tomatoes, feta, red onion. 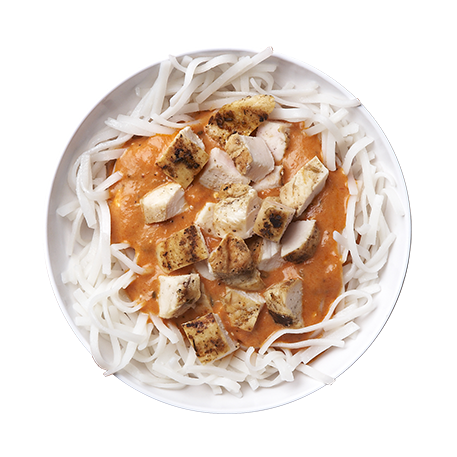 ** Nutritional values and caloric count are based on a regular size bowl and a standard scoop of protein. 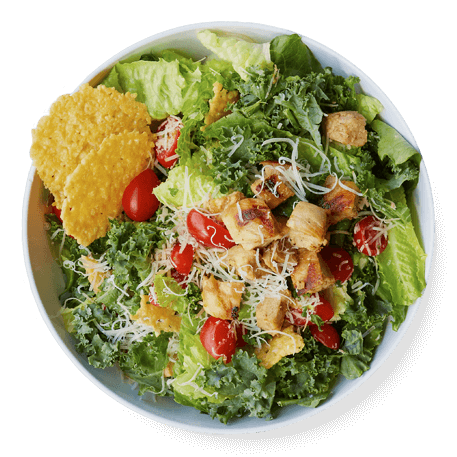 Shredded Kale + chopped romaine, antibiotic-free chicken, parmesan crisp, tomatoes, shaved parmesan. 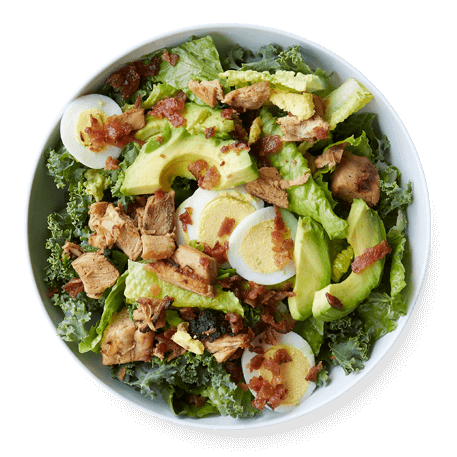 Shredded kale + chopped romaine, antibiotic-free chicken, avocado, bacon, hard boiled egg. 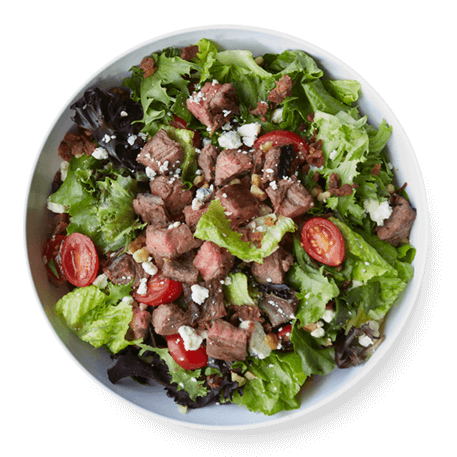 Chopped romaine + mesclun mix, grass fed steak, bacon, cranberries, walnuts, tomatoes, gorgonzola. 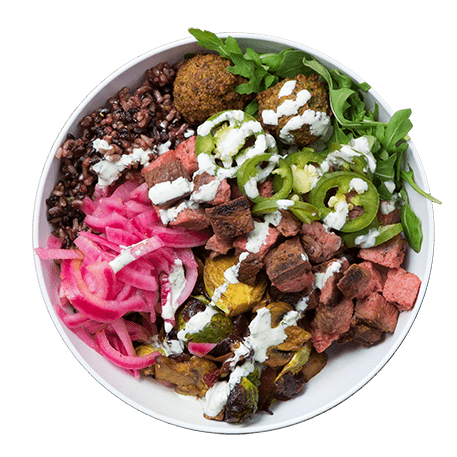 Purple rice, grass-fed steak, roasted vegetables (roasted beets or roasted sweet potatoes), falafel, arugula, pickled jalapeños, pickled red Onions, and beef bone broth. 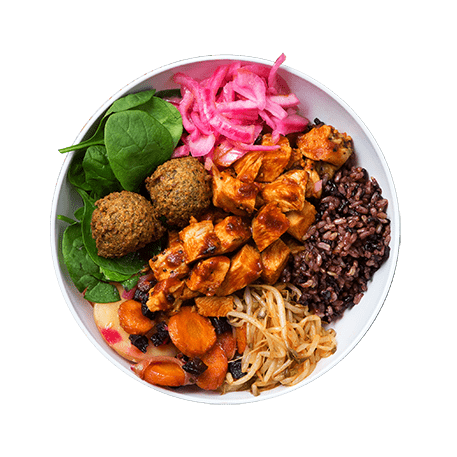 Purple rice, Thai chicken, roasted vegetables (roasted beets or roasted sweet potatoes), falafel, spinach, pickled red onions, spicy Sriracha sprouts, and chicken bone broth. 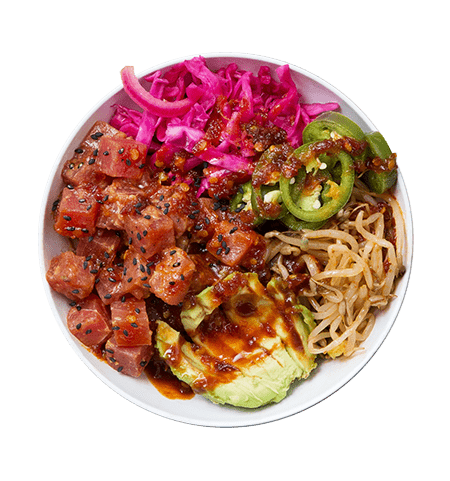 Ahi tuna poke, avocado, pickled jalapeños, pickled red onions, pickled red cabbage, sesame Sriracha sprouts, and purple rice. 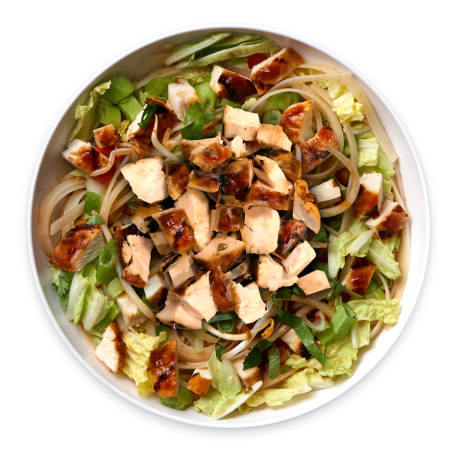 Napa cabbage, spicy Thai rice noodles, spicy chicken, peppers, scallions, sesame Sriracha sprouts, Thai chili sauce. 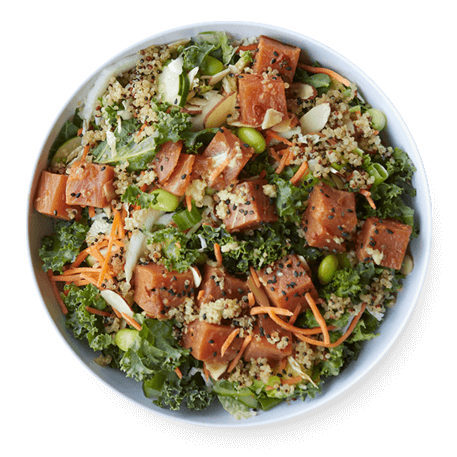 Poke ­ahi tuna, cabbage, cucumber, quinoa, carrots, scallions, avocado, kale, almonds, sesame seeds, edamame. 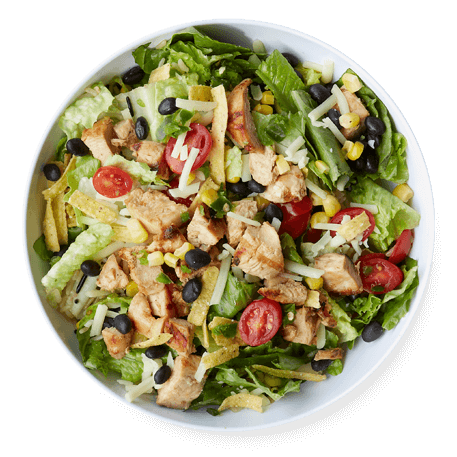 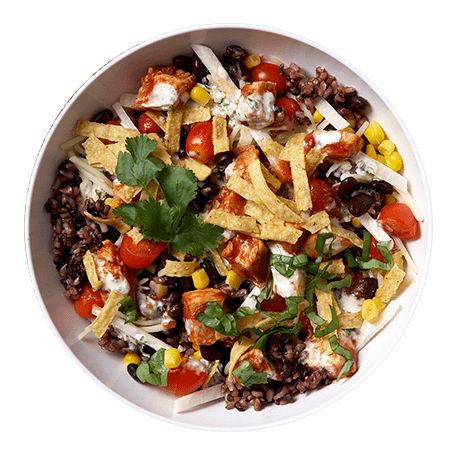 Purple rice, antibiotic-free chicken, chopped romaine, avocado, jalapenos, tortilla strips, tomatoes, black beans, scallions, corn, shredded white cheddar. 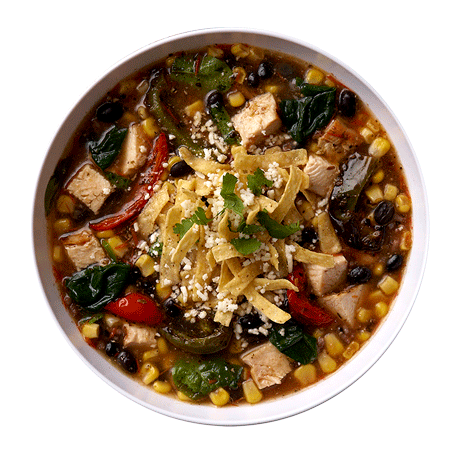 Vegetable broth, cauliflower purée, cheddar cheese, parmesan cheese, basil leaves, tomatoes, olive oil, garlic. 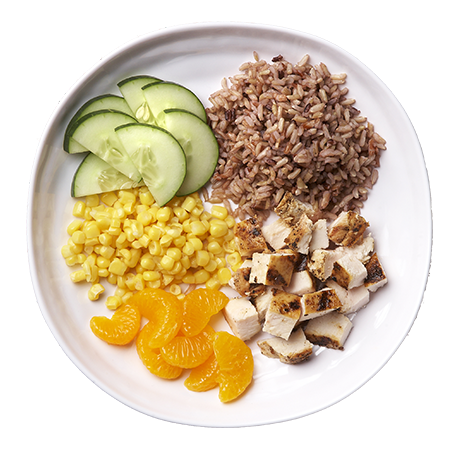 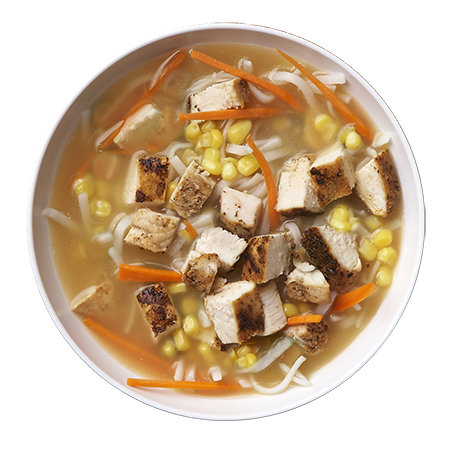 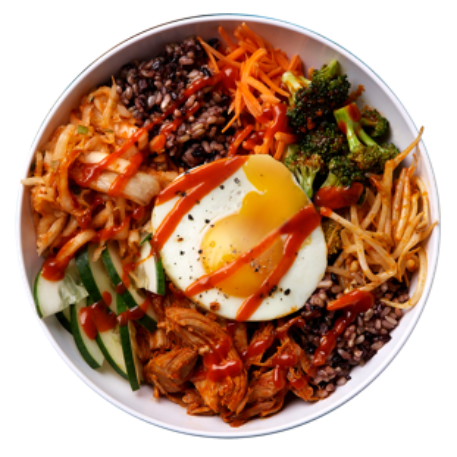 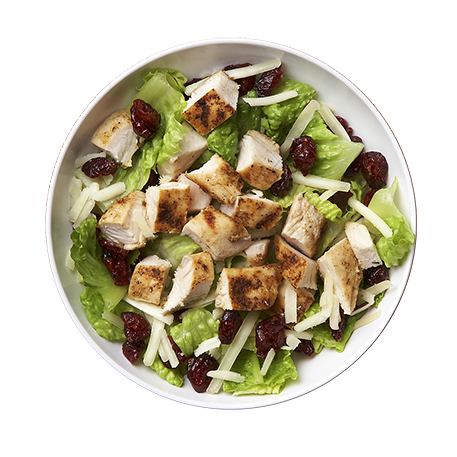 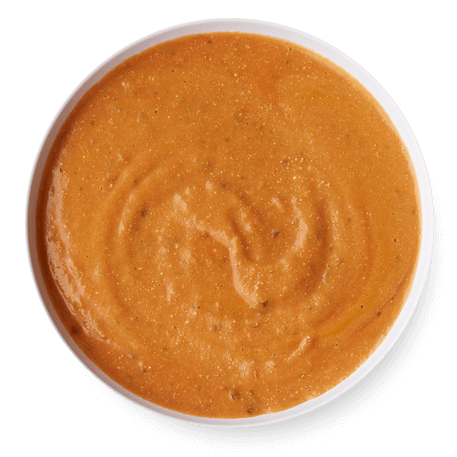 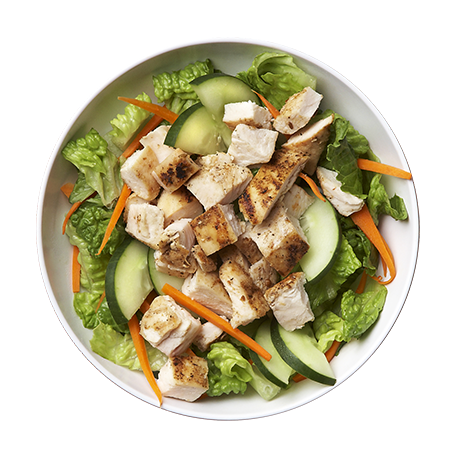 ** Nutritional values and caloric count are based on a regular size bowl. 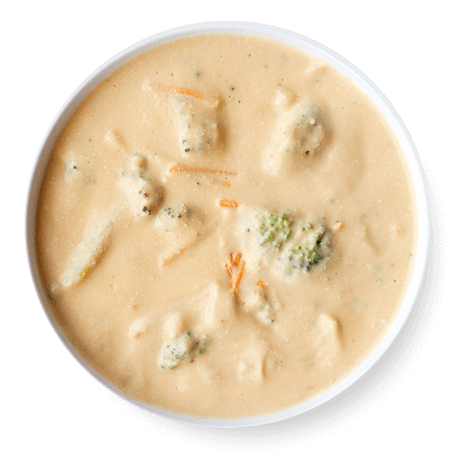 Vegetable broth, cauliflower purée, cheddar cheese, parmesan cheese, fresh broccoli, carrots, celery, scallions. 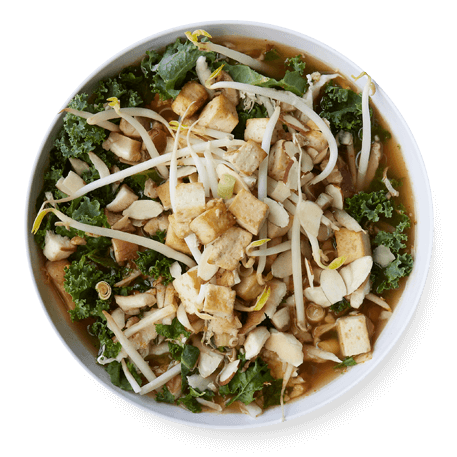 Vegetable broth, shiitake mushrooms, napa cabbage, shredded kale, roasted tofu, sprouts, ginger, lemongrass, sliced almonds. 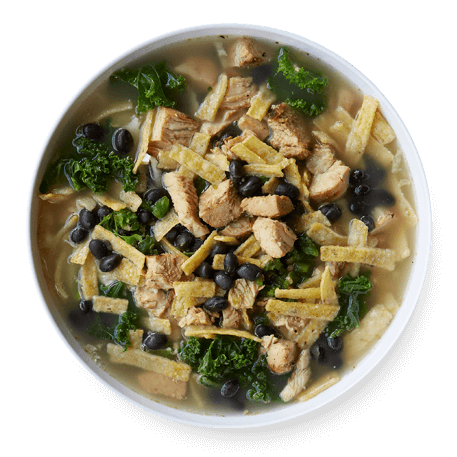 Chicken bone broth, antibiotic-free chicken, shredded kale, napa cabbage, tortilla strips, jalapeños, black beans, cilantro, lime squeeze. 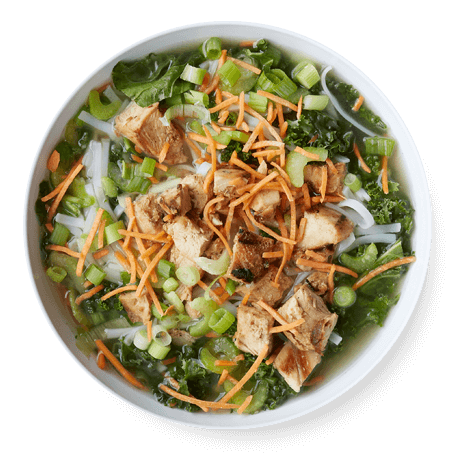 Chicken bone broth, antibiotic-free chicken, rice noodles, shredded kale, carrots, celery, scallions. 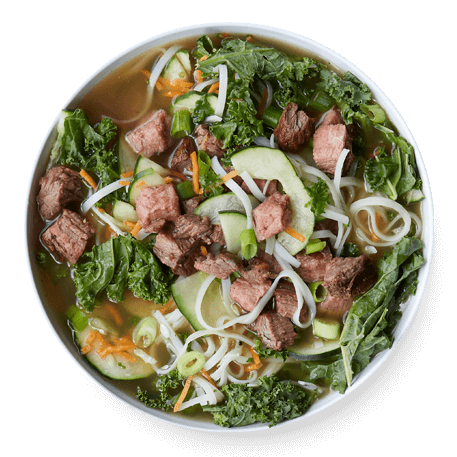 Beef broth, grass-fed steak, rice noodles, shredded kale, spicy broccoli, carrots, scallions, sliced almonds, ginger, cilantro, sriracha. 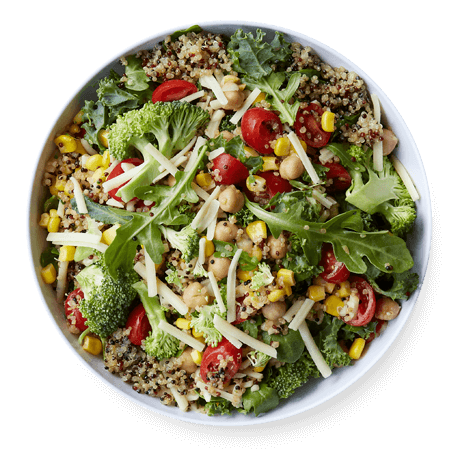 Warm quinoa, shredded kale + arugula, tomatoes, corn, chickpeas, spicy broccoli, shredded white cheddar. 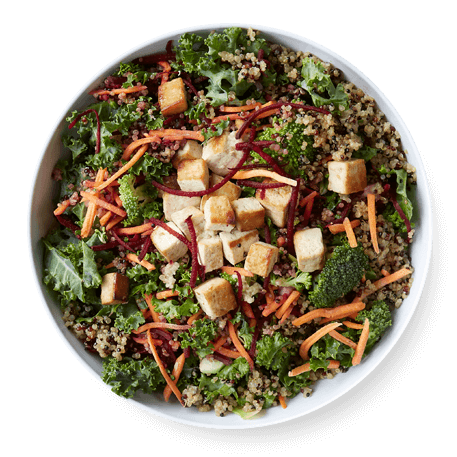 Warm quinoa, shredded kale, roasted tofu, carrots, raw beets, spicy broccoli, ginger, sriracha. 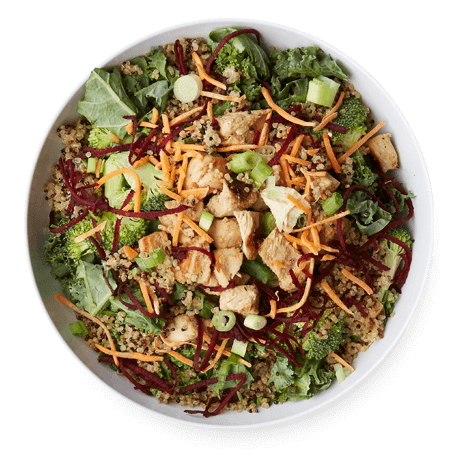 Warm quinoa, antibiotic-free chicken, sriracha, shredded kale, spicy broccoli, carrots, raw beets, scallions. 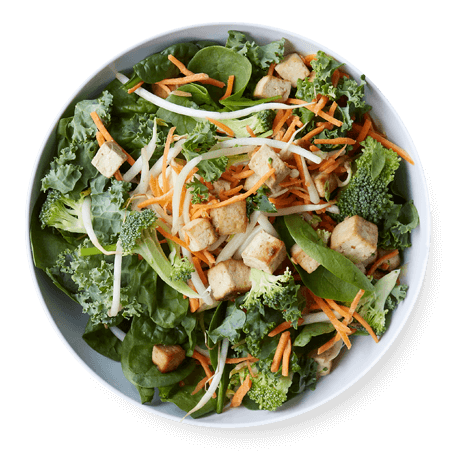 Baby spinach + shredded kale, roasted organic tofu, spicy broccoli, carrots, ginger, sprouts, basil, sriracha.